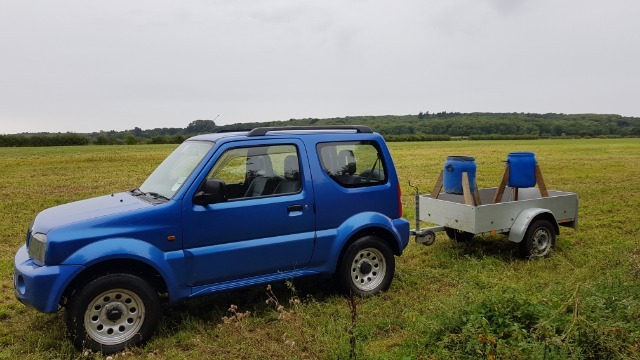 I'm new to the forum and joining to thank you for the technical information I have harvested and used as a guest since buying my first jimny two weeks ago. - Towbar fitment and wiring guide, which worked perfectly. - 4 wheel drive diagnostics! Investigation found vacuum pipes the wrong way around on the offside locking hub. My Jimny is a 2001, 106k mikes, with no service history, so I am building the courage to tackle the cambelt next. Welcome, tech info and advice is great, some very helpful people too. Did my first ever cambelt change in a car on my Jimny (1998 G13BB) about 4 weeks ago. Just follow the factory service manual and take it slow. Only mess up I had was after replacing crankshaft seal, when I noticed that its spring had dropped off and was laying on the ground, I tried to carefully remove the new seal and wrecked it completely. Last edit: 10 Sep 2018 05:44 by Lambert. Reason: Swearing. Please remember this is a family friendly forum. Jonnz, Is the factory service manual mentioned available online? Did you choose to replace the crankshaft oil seal or is it an essential part of the procedure? I've heard they're hard to get right. Both oil seal were leaking badly along with a leak from the cam sensor housing (o-ring) so replaced all three (along with water pump). Camshaft seal really easy good access, cam sensor housing a bit more difficult. Crankshaft seal, as i said stuffed the first one, access not that great i found it hard to see if i was pushing the seal on square with the engine and screwed it up by not noticing that the spring had fallen off with all my fiddling. 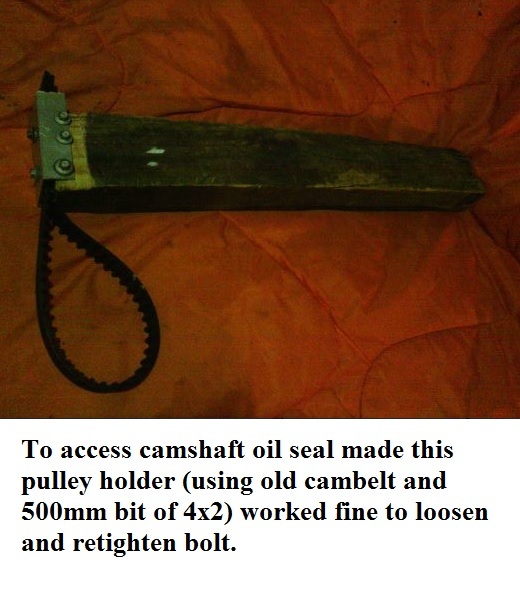 Cambelt change - The factory service manual is very comprehensive and there are workarounds where it calls for the special tools, only tool i had to get was a bigger torque wrench (torque settings are one thing that should not be guessed at I came across a few example of ruined crank/cam shafts from the pulleys/cogs being installed at wrong torque while investigating how to do a cambelt change). That being said from what from i read online 13BB engines are some of the easiest to work on.